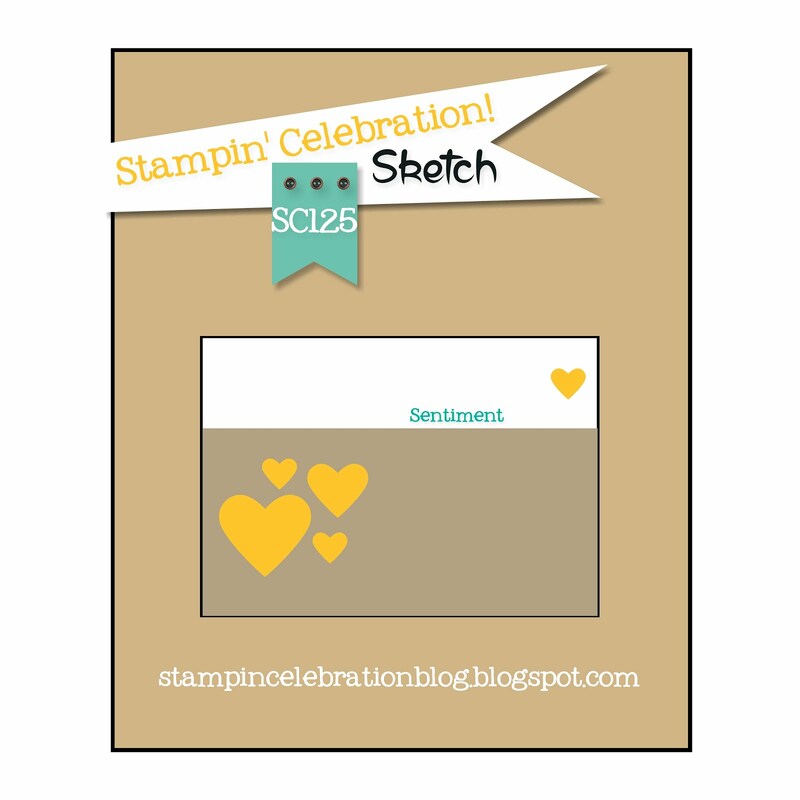 Welcome back to the Stampin' Celebration Sketch challenge for March (SC125)! A friend at work is retiring so I had to make her a card. Unfortunately I will be out of the office when they have her party so I wanted to be sure I created it in advance to give to her. I found a color combination I wanted to use and decided to go with a floral theme. The new Botanical Builder Framelit Dies from the Stampin' Up! 2016 Occasions catalog were perfect for this card! Once I picked the colors, it was as simple as cutting and gluing. 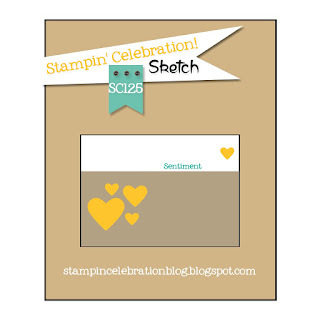 The greeting is from the Wild About Flowers photopolymer stamp set from the Stampin' Up! 2015-2016 Annual Catalog. I added some candy dots on the smaller flowers and white enamel dots on the bigger flower for added dimension. I hope you have time to play along with our challenge! I can't wait to see the you make this sketch your own! Colors: Pacific Point, Blackberry Bliss, Tangerine Tango, Pool Party, Whisper White, Mossy Meadow.